There are just some products that are always in my house. SOS Pads is one of those products. My mom used to buy them and after years of washing her pots and pans with SOS Pads, it was only natural that I would buy them too. These soapy steel wool pads have been the nation's top-selling soap pad for nearly 100 years. Nothing works as well as an SOS Pad for stuck-on, baked-on, and left-on food and grease. I really love the way they shine up my stainless steel pots and pans. They aren't just for pots and pans though. They also work great on nasty charred barbecue grill grates, gooey s'mores skewers, golf clubs, muddy cleats and just about anything else. I even clean my oven and stovetop with SOS Pads. If you're not using them, you are working too hard! They cut through the worst messes with ease. Learn more about what SOS Pads can do to make your life sparkle at www.sosclorox.com. 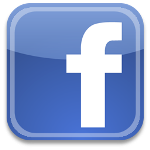 Follow them on Facebook, Twitter, and Pinterest too. Be sure to enter below to win a Year's Supply (twelve 10-count boxes) of SOS Pads! Enter to win a Year's Supply of SOS Pads! To enter, just fill in the Rafflecopter form below. Open to US residents 18 and older. Giveaway ends on 11/10/2014. Good luck! According to the CDC, childhood obesity has more than doubled in the past 30 years! As we encourage children to find a balance between healthy eating and physical activity, offer your kids some of these products as delicious alternatives to everyday snacks and lunchbox go-tos! You might think that drinks labeled "fruit juice" are a great option for your child but the truth is, some boxed juices can have upwards of 15 grams of sugar per serving, almost the same amount as a can of soda! Instead, try a 100% natural, low sugar option like Coco Joy Kids. The new, naturally fruit-flavored pure coconut water for kids contains no added sugar or preservatives and is only 30 calories. Studies show that people who eat whole grains regularly have a lower risk of obesity, so sneak in those added benefits through a delicious snack like Lance Whole Grain Cracker Sandwiches. Available in 3 great varieties including Cheddar Cheese, Sharp Cheddar Cheese, and Peanut Butter, Lance Whole Grains contain no trans fat, and offer a whopping 11 grams of whole grain per serving! Instead of fueling your child with sugary, high-calorie sodas, offer them a Sparkling ICE! The naturally flavored slightly sparkling water is zero calories, gluten-free, sugar-free and contains fruit juice, vitamins and healthy antioxidants. If your child has a sweet tooth but you're weary of giving them a bag full of high-sugar, artificially flavored gummy snacks, go for Welch's Fruit Snacks! The convenient 80-calorie pouches of Welch's Fruit Snacks provides 100% of the recommended daily value of Vitamin C and are gluten-free, preservative free and even come in a reduced sugar variety. These delicious snacks and drinks are a great way to provide your child with healthy lunchbox alternatives and snacks. Grown-ups will love them too! The new PB&J Snacks from Welch's are my current obsession...mmmm. 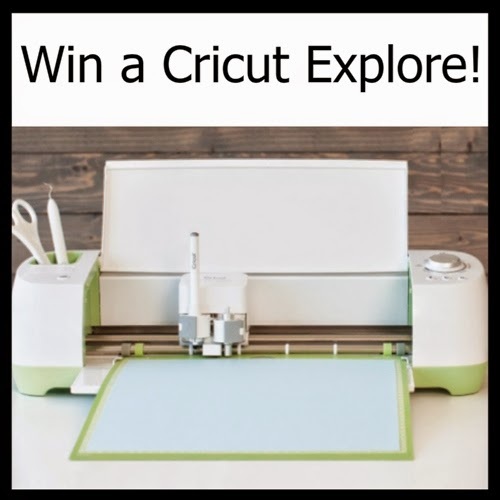 and enter to win fabulous prizes worth at least $25. Don't get spooked when you look in the mirror! There are no tricks when you treat your skin to organic, natural, wild-crafted Annmarie Gianni Skin Care! This linen drawstring travel bag comes filled with Aloe-Herb Facial Cleanser, Ayurvedic Facial Scrub, Neroli Toning Mist, and Herbal Facial Oil. Find out more about this travel kit HERE. You're going to love the way your skin looks and feels. I love what it does for my skin! To enter for the Annmarie Gianni Skin Care Kit, just fill in the Rafflecopter form below. You must be a US resident at least 18 years old. Only one entry is required to enter, bonus entries will increase your chance to win. 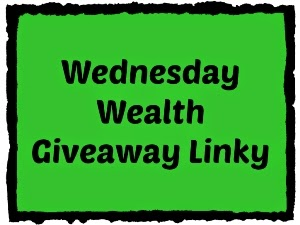 Giveaway ends at midnight on 10-31-2014. Good luck! There are many recipes for sweet things on Halloween, but don't forget that you still have to cook dinner before trick-or-treating begins! My Cheeseburger Mac-O-Lantern recipe can be prepared ahead of time if you prepare it in a Wilton Armetale Viceroy Oval Bowl, which can go from freezer to oven to table. This bowl is even grill safe because it's made from an aluminum-based alloy. Designed by renowned artist Juan Vela, the Viceroy collection is vintage chic with soft sculptural scroll elements cast in highly polished Armetale metal and is at home in casual to formal settings and can be used every day. I found it easy to use, very lightweight, and easy to handwash (even with baked-on cheese). Your kids will want to get started on their candy hunt, but this delicious happy-faced dinner will get some good food into their bellies. They'll be thrilled to sit down to eat before trick-or-treating! 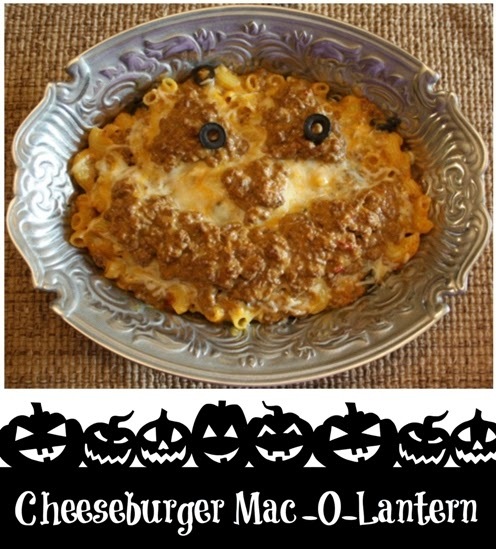 Ready to make Cheeseburger Mac-O-Lantern? Let's get started! Preheat oven to 350 degrees F. In a saucepan, prepare noodles according to package. At the same time, brown ground beef in a skillet and drain. Pour prepared noodles into a bowl and mix with one can of cheese soup. Pour browned ground beef in another bowl and mix with other can of cheese soup. Pour half of the cheesy beef into the bowl with the cheesy noodles and gently combine. Save aside 2 of the sliced olives for the eyes, then pour the rest of the olives into the cheesy beef mixture and gently combine. Pour the cheesy beef mixture into your baking bowl, then top with the shredded cheese. Shape the remaining cheesy beef into a happy jack-o-lantern face on top of the shredded cheese, placing the olives on the eyes. (If you're preparing ahead of time, cover and place in freezer). Place bowl, uncovered, into oven and bake for 20 minutes at 350 degrees F. (If frozen, cook at least 45 minutes). Enjoy your Halloween dinner! Serves 4. Purchase this beautiful, versatile Viceroy Oval Bowl at www.armetale.com. Enter below to win a Wilton Armetale Collection, valued at $257.25. 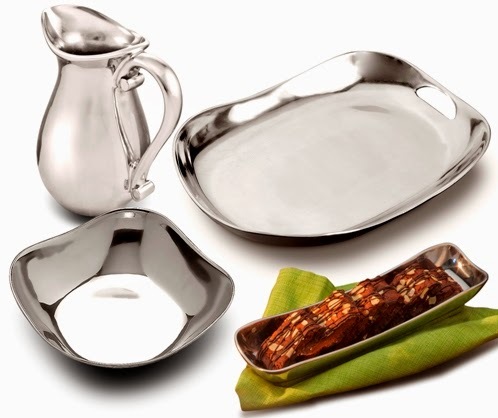 This prize package includes: Medium Bowl, Pitcher, Cracker Tray, and Handle Tray. Open to US residents, ages 18 and older. Giveaway ends November 8, 2014. This is a delicious, fast dinner that only requires one pan - your favorite skillet with a lid! In large skillet, brown ground beef, then drain and return to skillet. Add 4 cups water and 1 pkg taco seasoning. Stir well. Add 1 can black beans and 1 can yellow corn, stir again. Then stir in 8oz egg noodles. Bring to a boil, cover, reduce to simmer for 20 minutes, stirring occasionally. If desired, top with shredded cheese and/or sour cream. Serves 5. 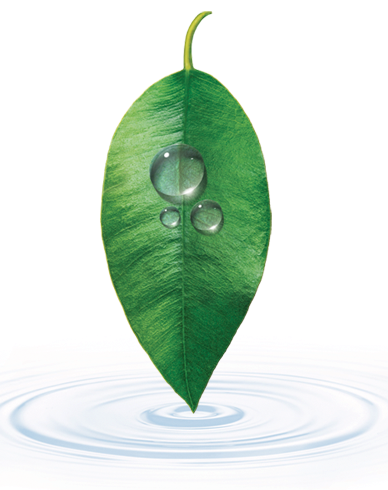 LEAF Vodka features two delicious varieties - one sourced from Alaskan Glacial waters and one sourced from Rocky Mountain mineral spring waters. Each one has a very distinct taste, since vodka is actually 60% water. The Alaskan Glacial has a pure, smooth taste, with a hint of sweetness and the Rocky Mountain has a rich, warm, savory taste. They are both delicious in different ways. My favorite way to enjoy vodka is in a fruit juice drink and the LEAF Vodka varieties are the perfect complement! To make Alaskan Lemonade, pour 10oz of lemonade and 2oz of LEAF Vodka Alaskan Glacier into a shaker with ice, shake, then strain over ice in a glass. Garnish with a lemon or lime wedge, or one of each. The cool taste of Alaskan glacier water makes this lemonade cocktail intensely refreshing! To make Rocky Mountain Cherry Limeade, pour 10oz of Cherry Limeaid and 2oz LEAF Vodka Rocky Mountain into a shaker of ice, shake, then strain over ice in a glass. Garnish with a slice of lemon or lime and a maraschino cherry. I love the rich taste of this cocktail! Find out more about LEAF Vodka at www.leafvodka.com and get even more great cocktail recipes on their site. Please drink responsibly. Level Foods is a modern diabetes management company that creates delicious foods to keep you living a healthy life. Their program can help you start losing weight in the first two weeks and gain control of your blood sugar. 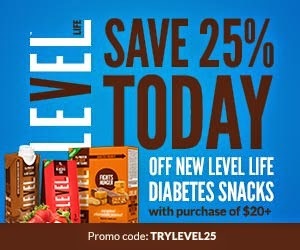 The Level bars, shakes, and gels provide a delicious, convenient way to fight hunger and support healthy blood sugar. 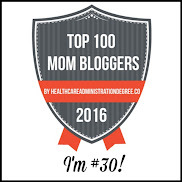 I received a variety of their products and I'm totally hooked on their gooey Caramel Chocolately Peanut bars and creamy Strawberry Creme shakes! The Level shakes are clinically shown to have a lower impact on blood sugar than other leading brands. As someone who has seen the effects of diabetes on friends and family, I can attest to how important it is to keep blood sugar at a level rate. Keeping healthy choices on hand can often be a challenge, especially when you're on the go, but these Level Life foods are super portable. It's a great way to be prepared whenever you feel an imbalance in your blood sugar. Check out the FREE Level Life Food Program HERE. They can make it easy to take back control of your health. Their website offers hundreds of diabetes-friendly recipes to help you lose weight and level blood sugars. Enter to win Level Life Bars and Shakes! One winner will win a premier bundle of Level Bars and Shakes, valued at $60. You don't have to be a diabetic to enjoy the delicious taste and healthy benefits of these products. To enter, just fill in the Rafflecopter form below. You must be a US resident ages 18 and older. Only one entry is mandatory to enter, but bonus entries increase your chance to win! Giveaway ends on October 31, 2014. Good luck! Air Wick is already a trusted name in my house. I just discovered they make wax melts and I'm so happy because using a wax warmer is one of my favorite ways to freshen my home. I received two of their National Park Limited Edition Scents - Shenandoah and Isle Royale. I really love these wonderful autumn scents! Air Wick Wax Melts come in a bar shape, making them easier to separate than the ones that come in cube shapes. Each one freshens my home for around two days. I keep a wax warmer on my kitchen counter all the time and just drop a new melt in when the scent begins to fade. I've found using a wax warmer is safer because there's no candle flame to supervise (which is best if you have children). Find out more about Air Wick Wax Melts at www.airwick.com and check out all the available National Park scents. 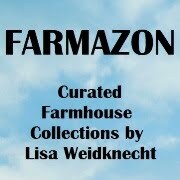 You can purchase them at many national retailers. It's a great way to keep your home smelling fresh! One of my favorite scents of this time of year is gingerbread! Southern Comfort has warmed me to my toes with their new Southern Comfort Gingerbread Spice. It tastes as good as it smells. This seasonal spirit is best served warm and is the most delightful ingredient in hot chocolate for grownups. It's so easy to make Gingerbread Hot Chocolate. Just add 2oz of Southern Comfort Gingerbread Spice to 8oz of Hot Chocolate and stir! Add some whipped cream and you'll be warm throughout your entire body. It's a delicious treat and my new favorite. Please drink responsibly and make sure your little ones have their OWN hot chocolate. Southern Comfort Gingerbread Spice is available now wherever you buy your wine and spirits. At just $11.99, it's the perfect hostess gift or holiday gift. It even comes with a gift tag attached! Get more delicious Southern Comfort recipe ideas for Gingerbread Spice at www.southerncomfort.com. Stress. It's a part of daily life for nearly everyone. Some people smoke or drink to relieve stress. Others overeat, oversleep, or simply yell at those around them. There are dozens of pharmaceuticals on the market for stress. Finding healthy ways to deal with stress are so important because many of the ways we deal with stress simply ending up causing more stress. I like the ideas of walking in nature, doing yoga to quiet music, and taking a beach vacation. But with my busy schedule, those ideas sometimes put me in a pinch for time, so I reach for my Pinch Me Dough. Pinch Me Dough is a holistic, drug-free way to help me reduce stress. The pliable putty is scented with spa-like scents that help to calm my senses. The repeated motion of squeezing, kneading, and bending the dough is a great way for me to work out frustrations and stressors in a healthy way. I keep my jar of Ocean Pinch Me right next to my computer and I've often found myself working the dough in one hand while using the mouse with the other! There are several amazing scents available. I can reach into my reusable jar and grab a little or a lot. I can roll it, punch it, or smoosh it between my fingers. The light scent stays on my hands even after I put the Pinch Me Dough away and the oils leave my hands soft and smooth. 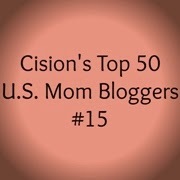 It is a wonderful way to help me redirect my stress and refocus my mind. I imagine this would be a wonderful tool for families who have children with anger issues! I think I'll grab one for my husband to keep in the car for rush hour too. Pinch Me Dough is a fabulous gift for everyone, including yourself, and with every container you purchase, Pinch Me funds a soldier's half-day stress management traning with bootstrapusa.com, a company dedicated to helping our military members reduce stress in their lives. Go find out more at www.PinchMeDough.com and order some today!